Jo Pitkin’s poems are strong, exact, intensely evocative, and resonate with a lovely inner music. Hers is one of the surest poetic voices to be heard now, and Commonplace Invasions will consolidate her reputation among those who know her work and will bewitch new readers. Jo Pitkin is a colorist, and her poems, not surprisingly, can be likened to paintings. Her palette is luminous, her brushstrokes sure. She imbues places, people, memories with the faceted light through which she views the world, jewel-like and elusive. 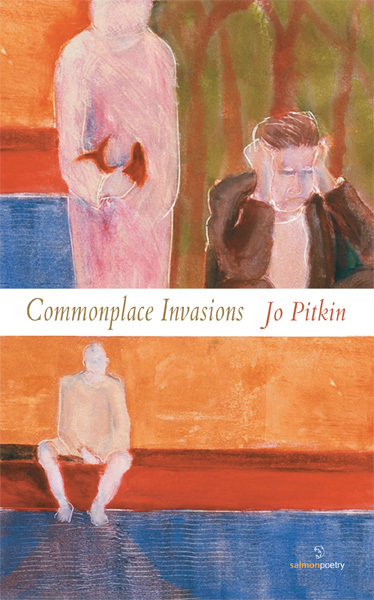 The poems in Jo Pitkin's Commonplace Invasions are rendered in the poetic equivalent of engravings in very old, weathered rock face. They are restrained and attentive, and invite the reader into the presence of a speaker who has privileged secrets she is nonetheless willing to share. Pitkin is a superb craftswoman—rare among the world of gifted emerging poets nowadays. Her fiercely capable sentences, many of them only three or four words, carry great weight. Hers is a voice careful but not timid, exacting but not obsessive. Those who come to poetry seeking a grand, swashbuckling punch in the gut need look elsewhere. And yet, a Pitkin poem surprises, but does so with a shift in light, a rustling in the periphery. Those who come contemplatively and ready to receive will be rewarded beyond measure. Jo Pitkin is a native of Somers, New York. She received a BA in creative writing and literature from Kirkland College and an MFA from the Writers’ Workshop at the University of iowa. 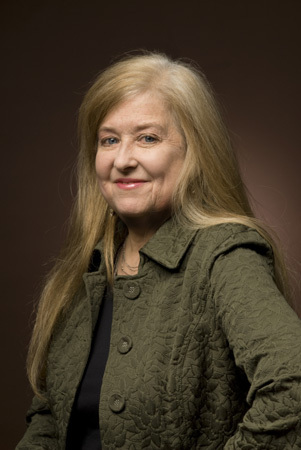 She is the author of The Measure (Finishing Line press) and Cradle of the American Circus: Poems from Somers, New York (the History press) and editor of Lost Orchard: Prose and Poetry from the Kirkland College Community (State University of New York Press). Her poems have appeared in such journals and anthologies as The New York Review of Books, Little Star, Quarterly West, Salamander, Crab Orchard Review, Nimrod International Journal, and Riverine: An Anthology of Hudson Valley Writers. After working as an editor at Houghton Mifflin Company, Jo pursued a career as a freelance writer for educational publishers throughout the United States. She lives and works in New York’s Hudson river valley at the river’s narrowest and deepest point.